What is a kz file and how do I open a kz file? 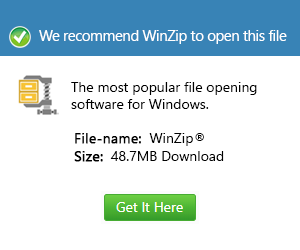 KZ is a compressed KuaiZip archive using a proprietary format that can increase the compression ratio five to thirty percent over standard RAR compression and ten percent over 7Z compression. With compression ratio from 5 to 30 percent KZ is claimed to be a fast and high ratio compression format. This archive file format which allows multi-mode compression, multi volume compression and encryption of the compressed files. The data compression rate of KZ file format over 7ZIP file format is 10 percent greater and therefore allows for greater compression.This format provides loss-less compression with better efficiency over other conventional RAR compression format.